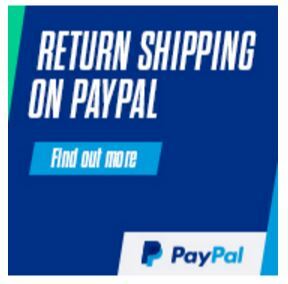 You save £10.00 that's 50% off! You won't believe it's not Halogen! Experience the look and feel of a halogen spotlight, while enjoying the energy savings of LED technology. 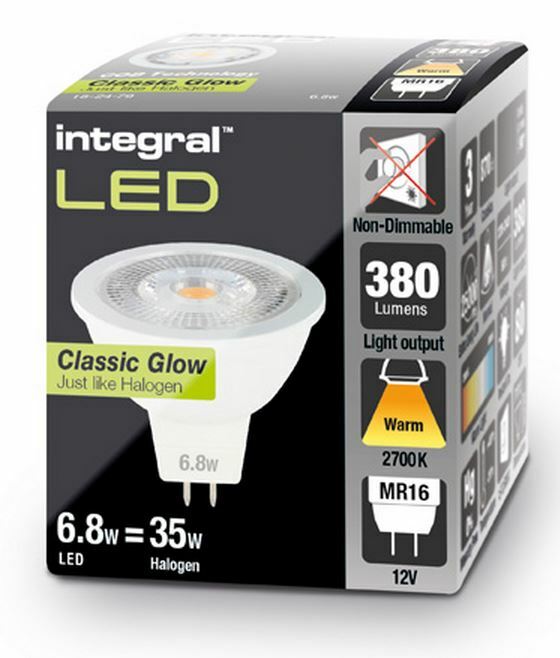 Integral LED has developed a "Classic Glow" MR16 LED lamp that achieves exceptionally close performance compared to a traditional Halogen lamp in terms of light distribution, colour and overall appearance. This has been achieved by using innovative optics and reflectors to produce a low-glare lamp that improves on halogen and looks great ON and OFF. This product is suitable to replace 35 - 50W halogen MR16 spotlights. Although on the box it states 35W equivalent due to the high Lumen output of 380 lumens and the directional nature in most situations this bulb would be suitable to replace a 50W halogen. Please not that this product operates and 12V and would require a suitable LED driver or transformer to operate correctly. We stock a range of LED drivers depending on how many bulbs are required. The wattage of driver selected should equal or execeed the total wattage of the bulbs . E.g. 10 x 6.8W bulbs = 68W, our Intergal 75Watt driver would be suitable.